Molasses is obtained as a residue of the sugar industry. The major components of molasses are sucrose, glucose and fructose. In Molasses: Forms, Production and Uses, a study is presented wherein polyurethane foams were prepared using the hydroxyl group of mono- and di-saccharides as a reaction site for urethane synthesis. Molasses was dissolved in polyethylene glycol and polyols with various molasses contents were prepared. The following work contributes to the evaluation of processing technology and the quality characteristics of traditionally made carob molasses through a survey in Tunisia. Carob molasses, known locally as “Rub El Kharroub”, is produced mainly by women using an artisanal process carried out with domestic equipment. Considering that molasses is produced at about 2–5% of the starting raw material, the authors suggest that depending on the raw material condition and applied processing operations, considerable amounts of sucrose can be recovered and an increase in the efficiency of the sugar factory may be achieved. Following this, the authors review the state of knowledge on the production, chemical composition and uses of sugar cane molasses in animal feeding in Cameroon and briefly examine its other uses. In this country, sugar cane molasses, the main sub-product of sugar industries, is mainly produced by the sugar company in Cameroon. 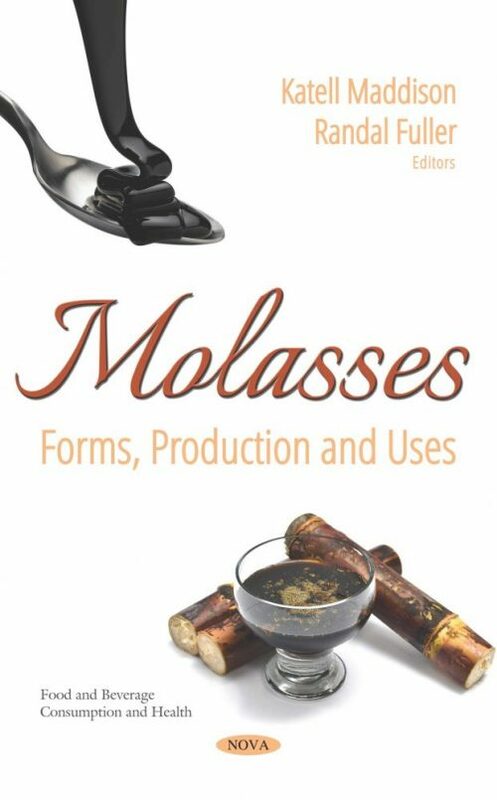 The authors go on to review the latest advances on the potential of molasses as a source of functional ingredients as well as its application in various food products such as meat, vegetables and fruit. Molasses may have some other valuable functions such as shelf-life improvement, enhancement of leavening activity and buffering capacity. Lastly, an assessment was made regarding methane production from glycerin digestion and glycerin/molasses co-digestion under thermophilic conditions in a mechanically stirred anaerobic reactor, operated in sequencing batch and fed-batch.